The legal system in the US is a complicated set of laws and regulations, and even cases which could be considered ‘mundane’ can hold unforeseen consequences depending on the severity of the case. This is why Greg Nelson specializes in criminal defense – to help those who are unable to defend themselves in a court of law. Here are a few facts about your rights to an attorney that can assist you in understanding your options in the face of prosecution. The right to an attorney in any prosecution case is granted by the Sixth Amendment of the United States Constitution, which states that all accused shall have the “assistance of counsel” for their defense. This also means that even those who cannot afford an attorney will be granted one by the state. These public defenders are there to help anyone, but they usually have full schedules themselves and only so much time to give each of their assignments. 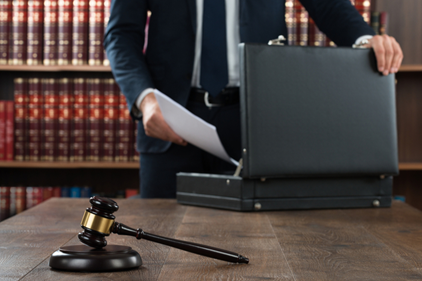 A professional criminal defense attorney like Greg Nelson, on the other hand, will set ample time apart to your case and set you on the proper course, mounting a defense and helping you avoid fines and jail time where possible. If you require legal representation in a criminal or DUI case, look no further than Greg Nelson in Omaha. With over 15 years of legal experience, he is the attorney you need to mount your defense and protect your rights. Contact the law office nearest you for more details on how Greg can help.